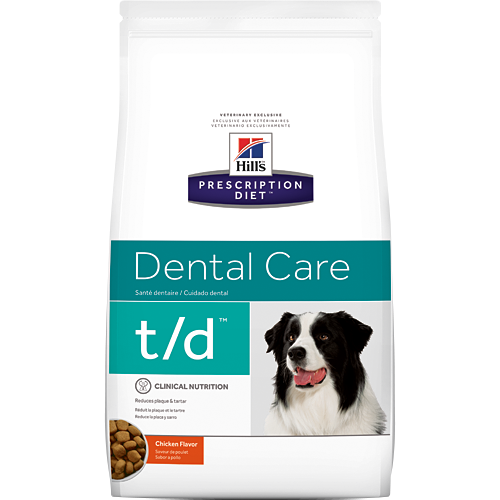 Hill's nutritionists & veterinarians developed Prescription Diet® t/d® clinical nutrition especially formulated to support your dog's dental health. In fact, t/d is clinically proven nutrition to reduce plaque, stain, & tartar buildup. All Hill's pet foods are marked with Hill's guarantee. If you are not satisfied with your Prescription Diet pet food product for any reason, simply return the unused portion to us for a full refund or replacement.